Previously owned: Porsche 996 GT3, Porsche 993 Carrera 2, Seat Leon Cupra R, Skoda Fabia vRS, Westfield Sport, Ginetta G4, Ultima Spyder, Peugeot 106 GTI, Peugeot 106 Rallye, Renault Clio 172 Cup, Renault Clio 182 Trophy, Jaguar S-Type R, BMW E36 M3 (five), Mazda MX-5 Mk2, Lotus Elise Mk1, Triumph TR6, Alfa Romeo GTV (two), Fiat Panda 100HP. Currently owned: Alpina D3 Estate, BMW E36 M3, Renaultsport Twingo Cup, Mazda MX-5 Mk3 BBR Supercharged. On the shortlist: "A really nice 993 again." Why I chose it: "OK, a confession. 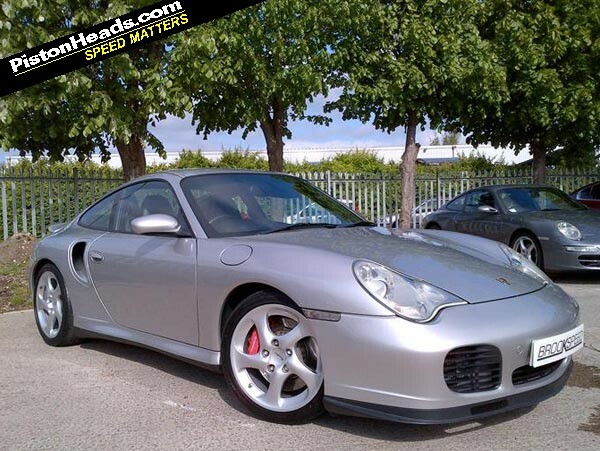 I really wanted a good 993 Carrera 2 but when I looked at the prices I couldn't justify it. The 993 is probably the prettiest car Porsche ever built, especially in base unmolested form, but for half the price a 996 Turbo is all the supercar you will ever need on a normal British road. 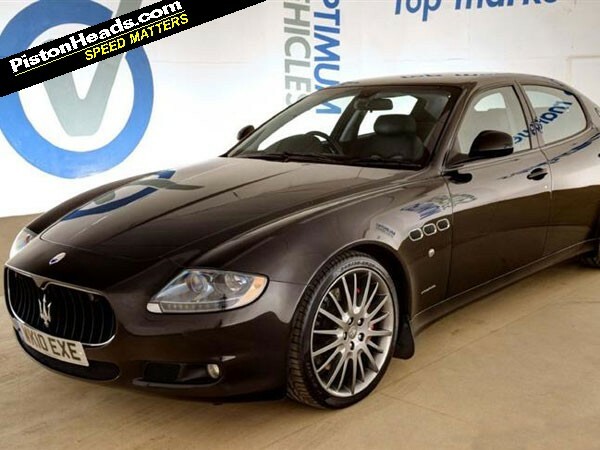 This car looks a tidy, cared for example and not a bad price. 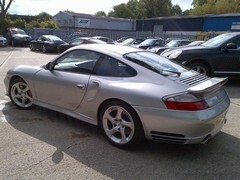 As a point to point missile they take a bit of beating massively better in the real world than a 993. 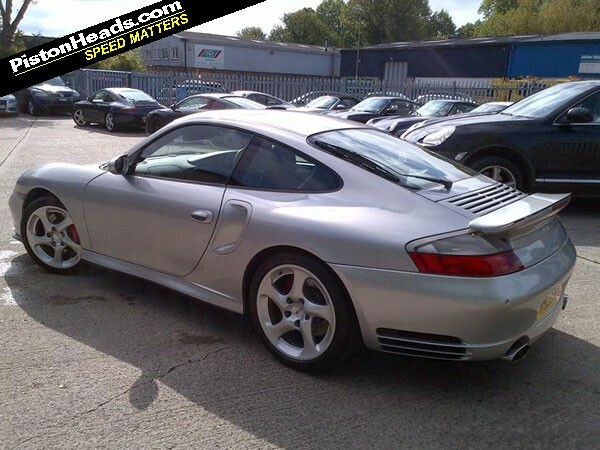 996 Turbos have got to be on the up very soon so catch while you can [great minds, eh David? - MB]. The garage car for the missions (getting somewhere quick and back where you shouldn't have been before the misses finds out) in any weather." Why I chose it: "An oddball colour but a grower, thank God it wasn't specced with dog k**b red leather. Looks a nice place to be. The car to waft down the motorway on the way to the family holiday in Italy and general family duties. I think this is a ZF auto car, at least I hope it is, not the automated manual. 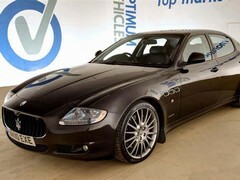 The Quattroporte is the best looking big four-door car; nothing else comes close! Fast Jags are starting to look chavvy and only a mother would love a Panamera; to me all big BMs and Mercs look the same to me." [David's original QP choice had sold so this is the replacement; no oddball colour here!]. Why I chose it: "Track car and at this price probably about as quick as you can go. 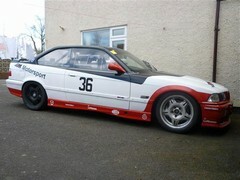 Over 300hp and hopefully no more than 1,200kg should make it very potent. 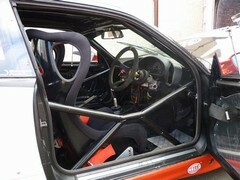 Sat in something like this I would happily take on virtually any other car on track. It might not be a GT3 but it is the Hurricane of the track, flown by more aces, a stable gun platform, shot down more enemy aircraft and always on your side. Having driven a few E36 M3s I would sit in a well sorted one any day and hunt down a supercar costing ten times as much from my stable gun platform, watching GT3s getting more than five degrees of slip and then their fat arses dragging them off the track backwards. Actually, I'm not sure about the Hurricane comparison sat in a German car with a spinning prop badge!" 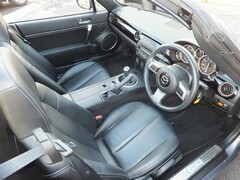 Why I chose it: "Might have made a mistake with this car as it's not clear from the pictures if it's an 09 facelift Sport but still with a cloth roof; the car has been (deliberately?) parked so the front grill is not too visible. The facelift, soft top Sport is the best out of the Mk3s with an LSD, six speed 'box and the weight saving over the hard top. 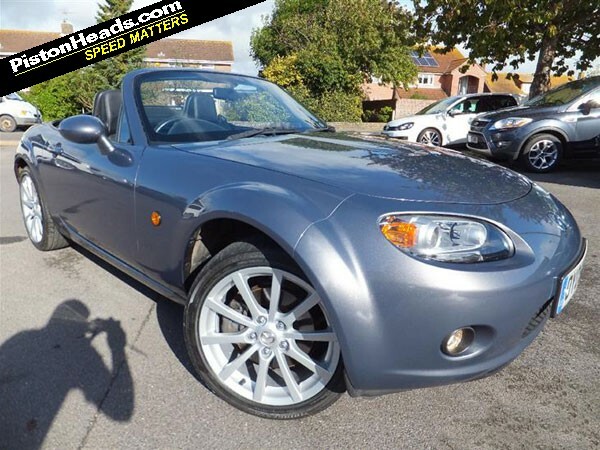 "OK, I have just over £10K left and I always like to do a bit with my cars, so for this MX-5 I'll add BC coilovers (to rid it of the horrible jacked-up look of the original car) and the anti-roll bars from an RX-8 (there are three types so you can play around to tune the handling). The MX-5 has straightforward wishbone suspension so its an ideal car to play around with as regards suspension adjustment. Lots of people will tell you on a forum that this or that is the right way to do it, they are not always right and what works well for you and the way you drive may not work for another. 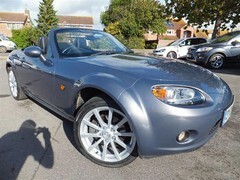 Can't recommend any version of the MX5 enough the Swiss army knife of cars. The general mess about car able to chuck around without massive risk to licence, limb or wallet. Take the roof off and go off down France with a filly!" 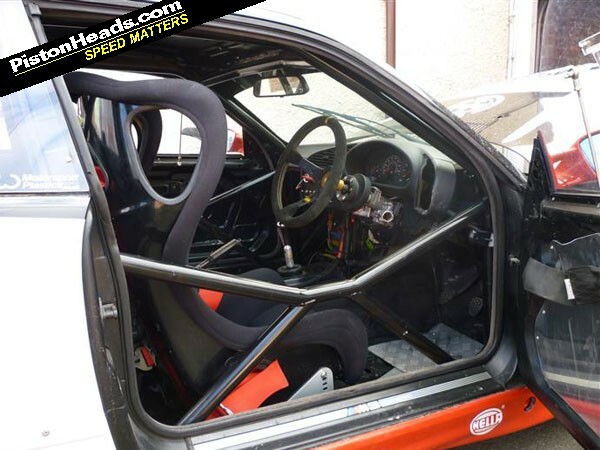 "So £1,000 or so spent already on the MX-5 and then I'd like a chip for the 996 Turbo, a wine/beer chiller for the back of the Maser, some tyres for the M3 and then the rest on petrol and beer!" I love the Maser, but I'd want something a bit more practical - perhaps a B7 RS4 Avant instead. Would be nice to play with an NC. Mine's bog-stock - off-road stance and all! - but will be off to pastures new soon so I also think I'd take the opportunity to play around with one. 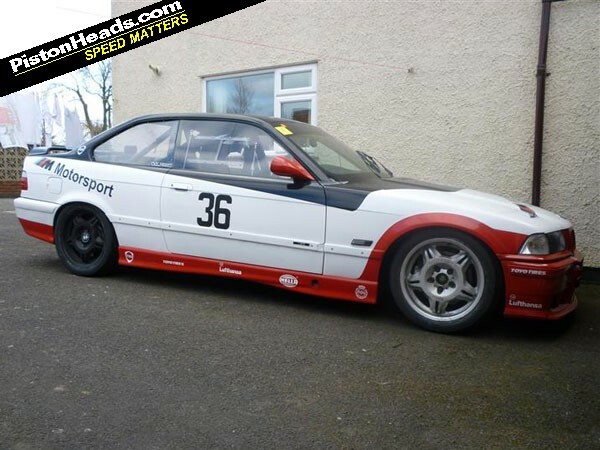 David, you have a great choice in track cars LoL - and it already has a brand new set of List 1B track day tyres so you can save your £1K for your ARDS test and first race entry fee (The M3 is race prepared but could also be road legal)!!!! Yes, the M3 is mine! Best looking big four-door? Merc CLS, surely. I have walked past a 996 Turbo every day for the last 3 years on my way into uni, and every day I want one more! Not only excellent choices but great aircraft analogy. Hurricane merits (presumably vs Spitfire) are always welcome with me. Maybe you should add a few Beaufighter merits vs Mosquito for good measure! Top work that man.